Salud Carbajal, Santa Barbara County supervisor and candidate for Congress, issued an apology Thursday afternoon after a group of people protested his reference to Lompoc as the arm pit of the county. Recently, Carbajal was overheard asking a county employee, who had moved to Lompoc, how she liked living in the arm pit. Carbajal’s comment was overheard by several community leaders from Lompoc who took issue with the supervisor of the more affluent Montecito area of the county denigrating a poorer North County community. Approximately three dozen protestors marched on Thursday to Carbajal’s office where they held signs up asking Carbajal to stop insulting Lompoc and to apologize. Was Paula Lopez discriminated against for being an alcoholic? I plan on writing in Bill Ostrander, whom I believe should have received much more substantial support in the primary elections. A man of the people with extensive practical experience, Good education, political experience campaigning for political finance reform and good ideas to apply to the challenges we will be facing in this county. I intend to ignore the “business as usual” elite running corrupt political games for their cronies. I suggest doing the same. It always disgusts me when rich people pretend that “they’re one of us”. He just lost my vote. Offence must be taken. People in government take, take, take. I wonder, is he sorry that Lompoc is an armpit or that he was overheard? did he just go third person? can’t stand when people do that. 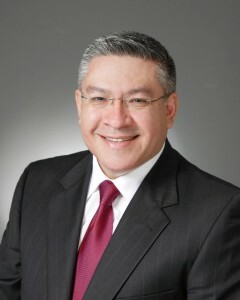 I hate to have to break the news, but, like Salud Carbajal, Justin Fareed views common people with disdain as well. I think it’s a politician-thing, they only appease us at election time, the rest of the time, they couldn’t care less about common people. I heard Justin Fareed spends most of his time down in Santa Monica, rubbing elbows with the wealthy elite They are different elite than Carbajal’s Monticieto crowd, but elites just the same. We would be better off choosing our congressional representative by randomly pulling someones name out of the phone book. when I ask people where they live and they say “Lompoc” They’ll mention that it’s the armpit. Carbajal apparently, instead, chose the cowardly political gimmick of issuing a statement, which could have been written by some political campaign staffer who is good at covering up political blunders by candidates. If this is indicative of Carbajal’s “integrity”, then he has just disqualified himself from representing this district in the United States House of Representatives. Shame on him. And shame on his political campaign operatives. The voters are not that stupid, and they aren’t buying the same tired old political gimmicks from the 1900s anymore. And that my friends is that. Is SLO County staff working to reduce public participation?